Effective this date Sheriff Luce has lifted the Curfew in the Town of Lodi which was in affect since the flooding. 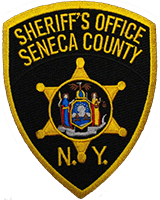 Seneca County Sheriff Deputies will continue to patrol the area. Sheriff Luce advises residents to call and report any suspicious activity or any other concerns they may have to Law Enforcement.